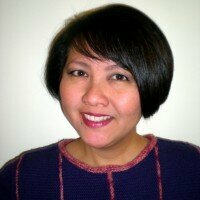 Lily Chin is a well-known name in the knitwear industry. Her career began many years ago in her native New York as she was working for such designers as Ralph Lauren, Vera Wang, Diane von Furstenberg, and Isaac Mizrahi. Lily’s first publication was in 1982. For almost 30 years her designs bring us fashion-forward ideas combined with impeccable finishing techniques. In her column for Knitter’s Magazine called “On Design” she examined different aspects of designing and generously shared her take on it. 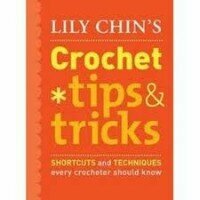 Later Lily began to teach at such venues as Stitches, TNNA, knitting tours and cruises, and knitting and crochet guilds. She is a great and memorable teacher with lots of energy, humor, and little tricks that she gladly shows to her students. Lily says that she is very proud of her teaching ability and she knows that she is a good teacher. If you are planning to take Lily’s class, hurry. They fill up quickly. 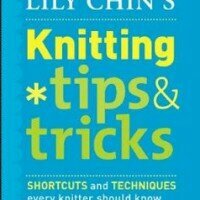 Lily Chin is also an author. 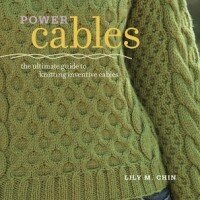 Her numerous books are reflecting her teaching and designing expertise on knitting and crochet. Here are some of her newer books. 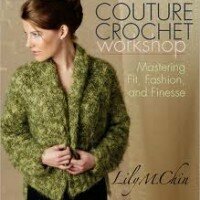 Did you know that Lily is the reigning champion as fastest crocheter in the world? She received this title in October of 2004 at the World Championship in London. I did not know that and I think it is remarkable. In summary, Lily is a fun and interesting person who works very hard and inspires others with her talent and vision. And now, let’s see what she told us herself. Mom taught me the basics when I was 8 years old. She cast on 20 stitches for me. I learned to knit but not to purl. When my 20 stitches became 3, I tossed it away in frustration. Desperate to keep me occupied and out of trouble, mom gave me a hook instead. I took to crochet like the proverbial duck to water. I later went back to knitting at age 13, not wanting this thing to get the best of me. I learned to cast on, knit, purl, increase and decrease … all from magazines. I was determined to do it all myself because I thought mom jinxed me :). When I was in college, my first design was published in Woman’s Day magazine in 1981 or ’82. This was when the magazine used to feature knit and crocheted patterns on a regular basis. That’s like asking who’s your favorite child. I don’t necessarily have a favorite, but I prefer to make garments. I do have a least favorite and that’s intarsia. Since my husband is an architecture critic, I’m often inspired by that. I’ve done classical Greek columns in ribs and cables. I actually do a lecture on this where I show my inspiration and the results in a slide show format (actually, power point nowadays). I also use a lot of theoretical ideas as inspiration, such as the post-Modern movement of alluding to tradition in a tongue-and-cheek way. 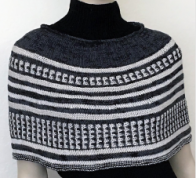 I did a classic Scandinavian design with their star motif but modernized it with beads, for instance, or used metallic yarns. I work out of home and it used to be more of a mess than it currently is. I recently renovated the apartment and that meant clearing everything out of the place so I had to organize. I have two knitting machines set up in the bedroom with 4 more under the bed. I live in a small 1-bedroom apartment in New York City! There’s nothing like being curled up on the couch while watching television. My travel schedule is such that I spend more time working on airplanes and hotel rooms, though. No but I know how and have tried it. Time is limited as it is; you have to make choices and to prioritize. 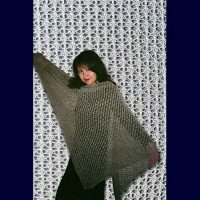 I am a long-time member of the Big Apple Knitting Guild and the New York City Crochet Guild. Yes, we chat at shows a lot. There’s a Yahoo group for Stitches teachers also. I rely on email a lot. Most magazines will eventually feature a design of mine from time to time. I’ve been concentrating on my books, however, so you can purchase the books. I’ve been teaching since 1989. I teach allover, I criss-cross the US and Canada. 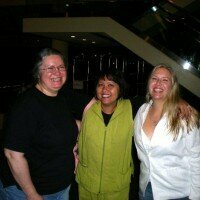 I’ve also taught on knitting cruises since 2000 and teach all over the world – Europe, Asia, Australia and New Zealand. Where else in life can you rip out your mistakes and start over? I mean, I wish I can rip out my ex :). 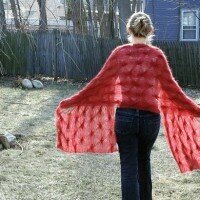 Lots of crafters view ripping as a mistake. It is a learning lesson. They have lost nothing but a bit of time but it’s also time well spend for an education. It’s also about process and not all products. How will you ever know if you don’t try? When I was a teenager, I did lots of projects considered way beyond my skills. You work your way through it, fudge a little, and learn. More books, more teaching, more magazine work – the usual suspects :). I’m doing some projects for a crochet magazine that involves circular, 2-color Tunisian crochet. I got this double-ended hook that makes it possible and it’s very addictive. I’ll be writing a design piece about shaping lace. I know of no one who comes into our business with the aim of designing knit and crochet designs for a living. You usually come from someplace else. I thought I was going to be a chemist in college. When I changed to liberal arts, what else do you do with a liberal arts education? I’m gleefully fortunate in that I have in my background education in the arts, science and math, business and garment manufacturing that has shaped my career. I have found all these to have been tremendously helpful in my growth. FG: Lily, it was an honor to have you as a guest. We all see your designs, books and read your articles, but it is very different when you can actually talk to us here. Thank you for being so open and encouraging. You teach many people and make knitters and crocheters want to try new designs and techniques. Thank you from all of us!